Can Reposting Facebook Content Hurt Your Page Reach? 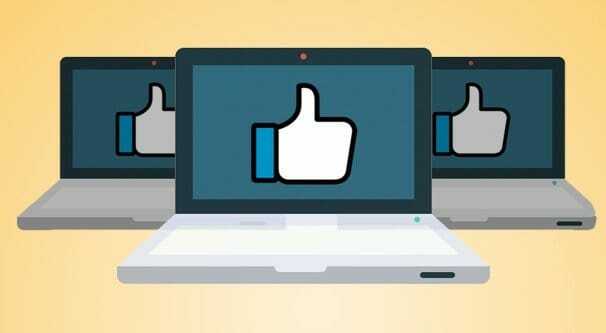 Blog > Facebook > Can Reposting Facebook Content Hurt Your Page Reach? One technique you’ll often see mentions on blogs like this one, Buffer, Moz, and other marketing sites is the idea of posting the same thing multiple times on your social feeds. There are a lot of factors at play here. The first factor is the idea that you need to be exceptionally prolific if you want to gain any attention at all on your social media platforms. Neil Patel wrote about this for Forbes, where he discusses the fact that this prescriptive instruction stems from the idea that you only reach a small fraction of your audience with each post, and that posting multiple times during the day reaches different segments of your audience each time. In his post he links to a Hubspot study that indicates small brands with small followings don’t actually benefit from posting that often. At the same time, an admittedly small experiment on AgoraPulse finds that posting very infrequently is not necessarily a page killer. Some brands also advocate posting the same thing as many times as you can, as long as it works. HootSuite talked a couple years ago about how they sent the same tweet over 44 times and saw no adverse effects in doing so. However, there are a few key differences between that situation and the one we’re talking about. First, it’s Twitter, which is a different world than Facebook. Second, it’s HootSuite, which is a huge brand that can get away with a lot that smaller brands can’t. It’s another indication that following the advice of a large brand with large testing accounts isn’t necessarily good for small brands. When it comes to Facebook, we can look at a few different factors to see whether or not posting the same thing repeatedly will help or hurt your page. EdgeRank is the colloquial name for the Facebook Algorithm, though the actual algorithm hasn’t been named EdgeRank in some time. 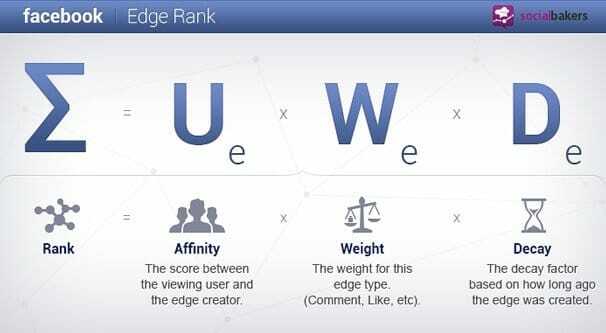 EdgeRank was the name of an older, less sophisticated version of what we have today. Nevertheless, the name stuck, and we can look at its rules to see how it handles repeated posts. EdgeRank has three factors that go into determining how much reach a post will have. Weight. The weight of a post depends on what kind of post it is. A simple text post or a note will have low weight and correspondingly low reach. An image or video will have higher weight and thus higher exposure. This is why so many people post images with their posts on Facebook, even if the image isn’t necessary. Time. A post will get more reach the newer it is. A post will also get more reach the more recently there has been engagement with the post. This means posts that get a lot of likes, comments, and shares will have a longer time in the spotlight. Posts tend to fade away after a day or two on Facebook, but highly active posts can stick around in the feeds of users for weeks or even months if they’re viral enough. Affinity. This is the complicated one; posts will be more visible to people who have a higher affinity for your site. Affinity is complex enough I’ll discuss it in its own little set of paragraphs. Essentially, any form of engagement or activity around your brand increases affinity with that user. If I like your page, I have a certain amount of affinity. If I click on your page a few days later, it bumps up my affinity. If I like posts, comment on them, or share them, my affinity goes up. However, there are also things that decrease affinity. If I ignore your posts, over time my affinity will drop. If I click to hide, unfollow, or report your posts, my affinity drops quite sharply. This is why positive engagement is so important; affinity decays over time, and constant engagement is the only way to keep it up and growing. One thing you’ll note about EdgeRank is that absolutely none of those three elements has anything to do with the content of a post. The format of the post, sure. Videos do better than images, which do better than links, which do better than text posts. However, nothing about that algorithm has anything to do with what the content of the link is, what the image is, or what the video is. It doesn’t care if you post two different videos or the same video twice. Looking at just what is publicly known about the Facebook Algorithm, then, we can determine that posting the same thing several times is not likely to decrease your reach. However, there are elements at play that aren’t reliant on the algorithm, and they can have a negative effect. When you post the same piece of content – the same words, the same link, the same image, identical everything – several times, you can run into a few different possible issues. The first issue is that the same post shared multiple times by different people will show up as a stack in Facebook’s news feed. Facebook will show the primary post at the top, followed by each individual user and their comments when the post was shared, if any existed. This means posting the same thing several times can get it stacked up, but it’s still visible on the user’s feed, just not as several discrete posts. The second issue is that posting the same thing several times is likely to encounter a quirk of EdgeRank; affinity scores. If you post something and the top 7% of people in your affinity list get to see it, then you post the same thing again, guess who is going to see it? Those same 7% of people, more or less. In actuality, with different timing, 5% might be the same and 2% could be a different selection of users. The fact is, though, a lot of the same people are seeing the post again, and again if you post it a third time, and again if you post it a fourth time. These people might have liked, shared, or engaged with the post the first time they saw it, but they’re a lot less likely to do it with the second one, and even less likely to engage with the third. Each subsequent post is going to have less engagement. The problem here is that it doesn’t just affect that post. Remember how EdgeRank affinity decays over time? As those users fail to engage with successive posts, their affinity drops, so they’re less likely to see future posts. While you might think that’s okay, and that your top 7% cycles faster so more different people see your post, that’s not quite how it works. 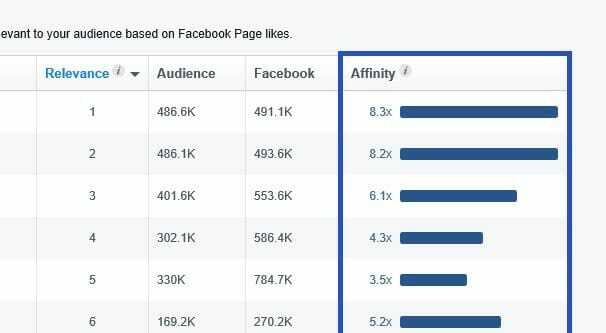 As those users drop off, Facebook might decide that rather than show your posts to the top 7%, they’ll show them to the top 6%, or the top 5%. Your reach decreases as a whole, rather than cycling in through the top fixed percentage. After all, Facebook users only have so many slots in their feeds each day, and Facebook filters a ton of content they might otherwise see. There’s no guarantee you’ll ever be seen, really. The next possible problem is users marking your posts as spam when they see the same thing four, five or more times. Some people don’t care, or might assume it’s the same post going around again and again, but others might recognize that the posts are all individual and that you’re basically just spamming the same thing over and over on Facebook. They’ll mark it as spam, and you’ll have to notice that your post has been hidden and take steps to address the issue. This isn’t a hard process, but it’s tedious and it hurts your posts and your page as a whole when it happens. Despite all of this, there are some good reasons why you might want to share your content more than once. The first benefit is getting more traffic. As I said, maybe 5% of your 7% reach is the same, and maybe 1% of that 5% will visit a second time, but that’s still an additional 2% you hadn’t reached before. Successive posts will bring in more new traffic, even if each one will do less than the last. The key is to stop reposting before the diminishing returns hurt you more than they help. This usually means 2-3 reposts, not 5-6 or more. You can post more on Twitter than on Facebook, but again, those are different platforms. 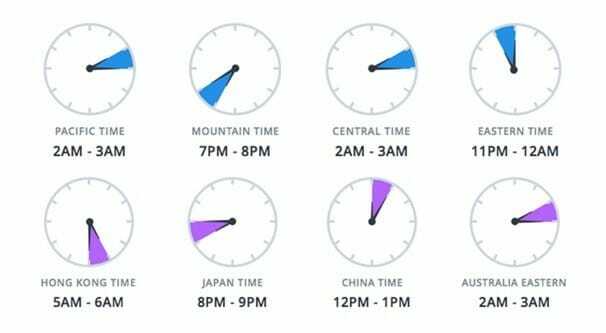 The second benefit is that by reposting at strategic times, you can hit users in different time zones, spreading out your reach much further. This minimizes the diminishing returns. Facebook is less time-sensitive than Twitter, again, but there’s still that element of time. If you’re always posting in the early afternoon, many users might not see your posts due to the time decay, even if they’ve followed your page quite recently. A benefit that Buffer found, as well, was that by sharing older posts on a cycle, they could reach new users. If you shared a post a week ago, and share it again today, anyone who followed you in the intervening week will see that older content and won’t recognize it as older content. They’ll engage with it as if it’s new, and in this way, posts months old can get new life and new circulation. The key to getting more engagement, without a steep drop-off, spam reports, or filtering by some hidden part of the Facebook algorithm, is to make changes to the post each time you share it. Here are the elements you can change. Targeting. Did you know that even organic posts on Facebook can have some level of targeting applied to them? If you make three or four discrete, different audience segments, you can repost the same content several times and have it only be visible to those primary audiences. This will greatly differentiate the people who see the posts each time, and give it even wider, broader exposure around the social network. Image or Video. The media you attach to the post is a primary decider in whether people think it’s the same post or not. You generally won’t be marked as spam if your image differs each time, even if the link is the same. People only get irritated at spam if it’s the same thing time after time on their feed. They don’t want to keep seeing it. Changing videos can be difficult because videos need more development to be relevant to the same post over and over, but it’s still possible if you’re using trailer-like clips of the same larger video on your landing page. Text. Changing up the text from post to post is generally what most brands do. You can post the same link four times easily, if you use the headline once, a key statistic once, an emotional plea once, and a question answered by the post once. The more ways you can approach the topic, the more possible shares of the same post you can have. Timing. Post on Monday in the morning, post on Wednesday in the afternoon, post on Friday in the evening; it’s a very broad set of examples, but you can post with different timing across weeks and months to reach a bunch of different segments of your audience. Timing is more sensitive on sites like Twitter where the algorithm is more time-focused than it is Facebook’s affinity focus, but it’s still a large factor on Facebook. Overall, reposting content can be a good thing for your marketing, but there are pitfalls you need to avoid. Generally, the key is to vary up the post each time, even if the link is the same. It’s not technically a repost, which indicates the exact same post a second time, but the idea is still there; share the same content for added benefit. Is There a Difference Between Page Views and Page Reach?